More than 30 people - including six firefighters - were injured. One person is in a serious condition. "The fire alarm went off at 00:30am a little after midnight, and smoke was everywhere already. 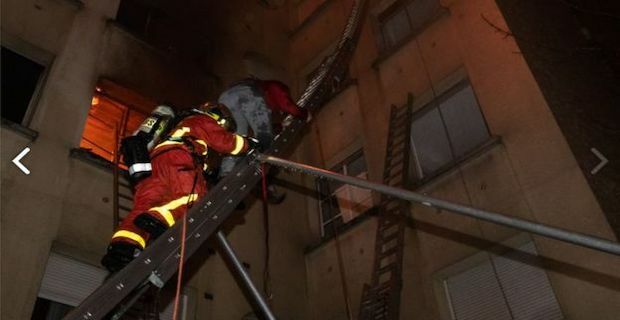 I live on the 8th floor, the top floor, so I tried to pass from balcony to balcony to get away, And then, we huddled up in a corner, other people climbed up to where I was to escape the flames." Nothing of the fire is visible from the end of the street, which has been sealed off, the BBC's Hugh Schofield reports from Paris.